Cleaning up the edges ...getting back to where things are "normal" so I don't wind up using a ton of wood putty. *sigh* hopefully someday I'll have a garage of my own so my saw isn't on a little wheeled cart on the floor! Surprise! Here's a shower of sparks for you! 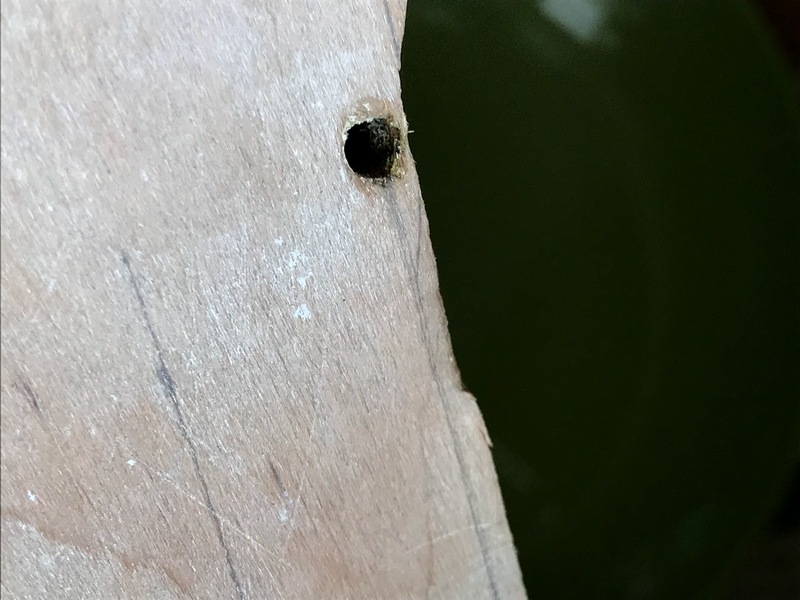 A SIXTH nail. Diseased flesh has been excised!! I'm reeeeeeally looking forward to sanding out these random-orbital-sanding-marks. 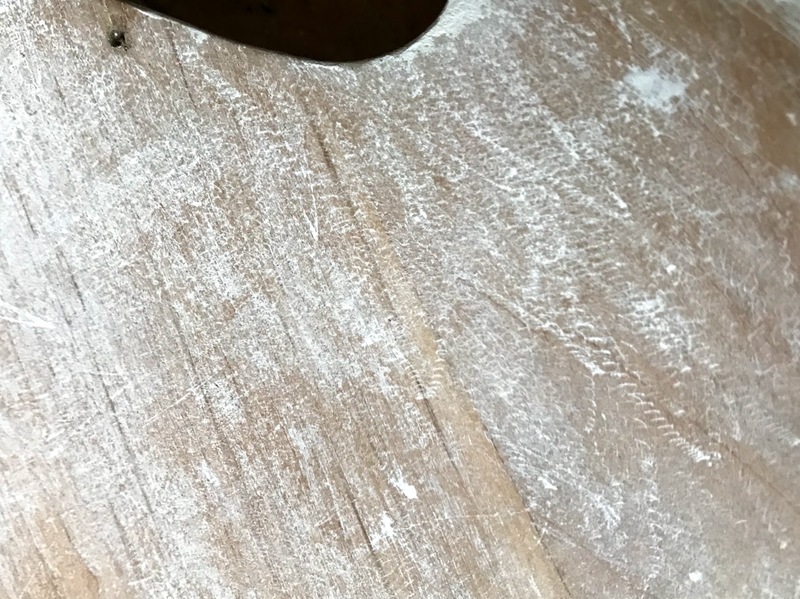 The loopy marks are telltale signs of what happens when using a electric palm sander that has clogged sandpaper, or when there is a chunk of sandpaper grit on the hard surface of the table where you're doing your sanding. 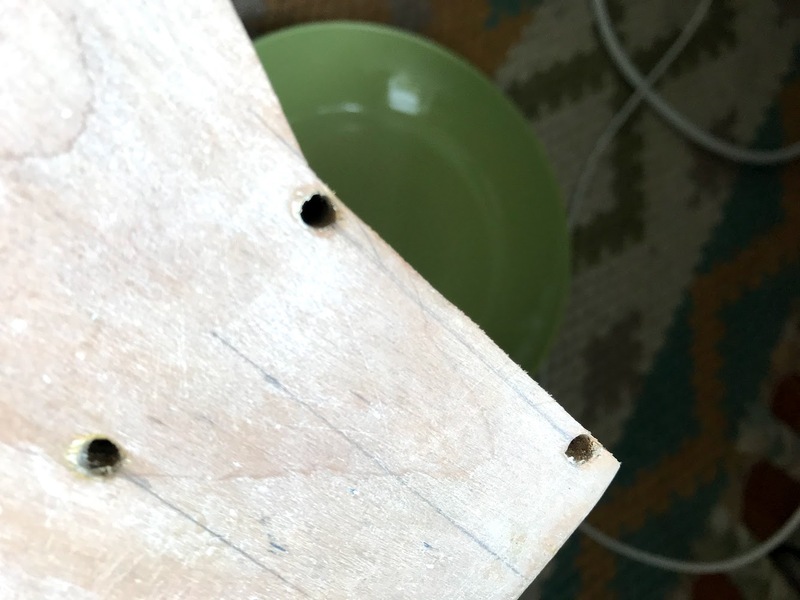 Putting an old towel or carpet scrap under wood when you're sanding helps ensure that you're not damaging one side of your board when you're sanding. Love this. 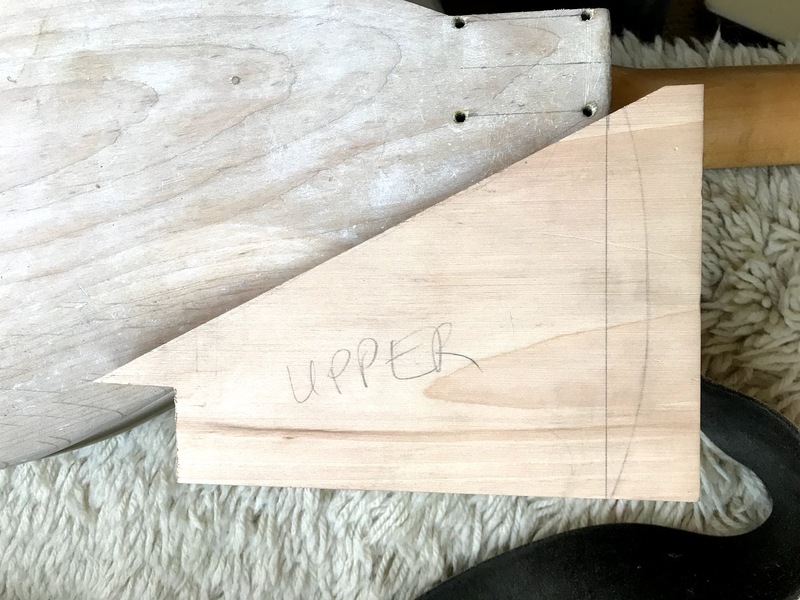 It’s like the Stumpy project several times over, and a Coro neck sounds like the perfect way to cap it off. "Why did I do this? Why did I do this to myself?" ...though it wound up just thiiiiiiis much too short. 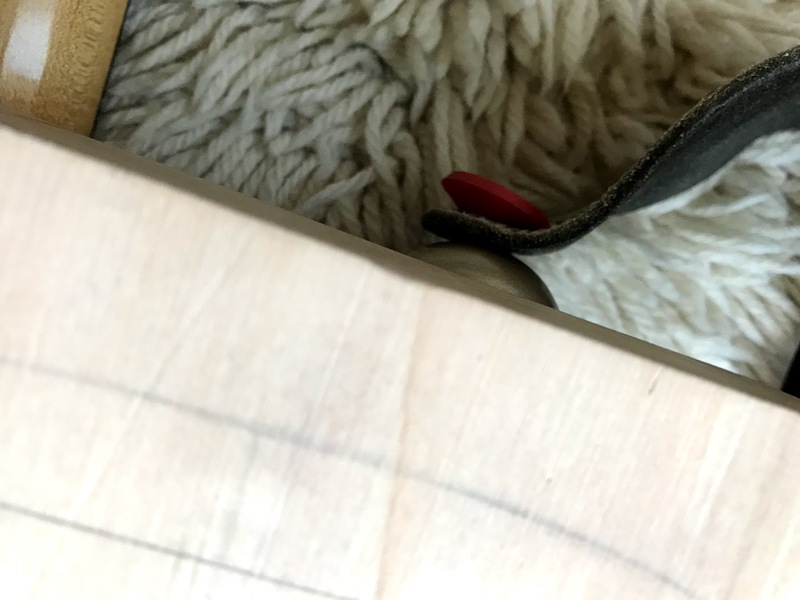 I didn't want to buy more alder, so I just made a cut and moved the end just enough to make enough horn. It's okay - this will be getting a green metallic finish. Ah. Custom Colors. 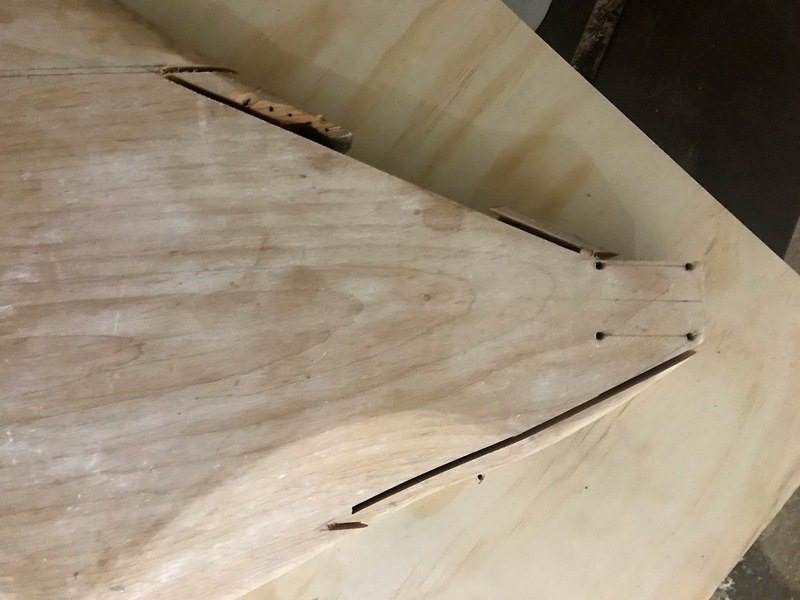 The closed-casket funeral of guitar repair! 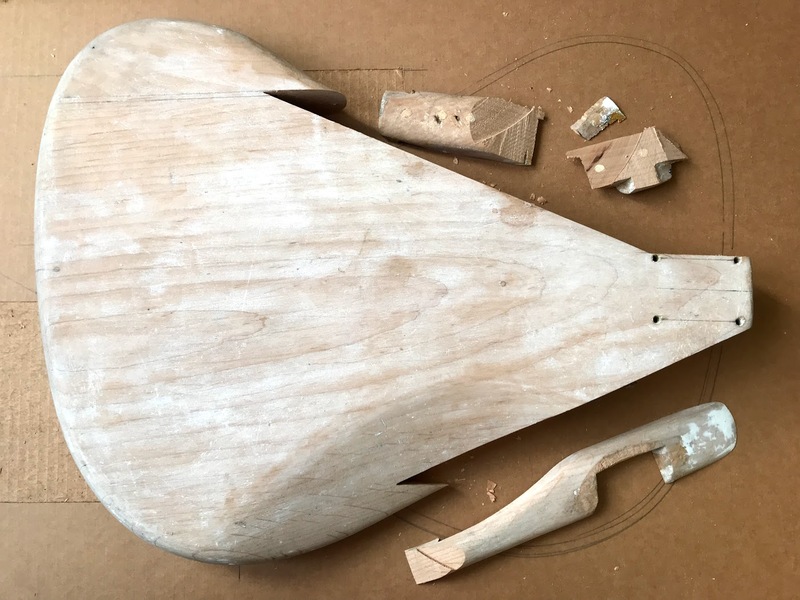 Ok - grafts have been made, and they're big enough to make this thing Jazzmaster-shaped again. I'm looking forward to gluing this together after work tomorrow! Cool progress, nice to see the process! 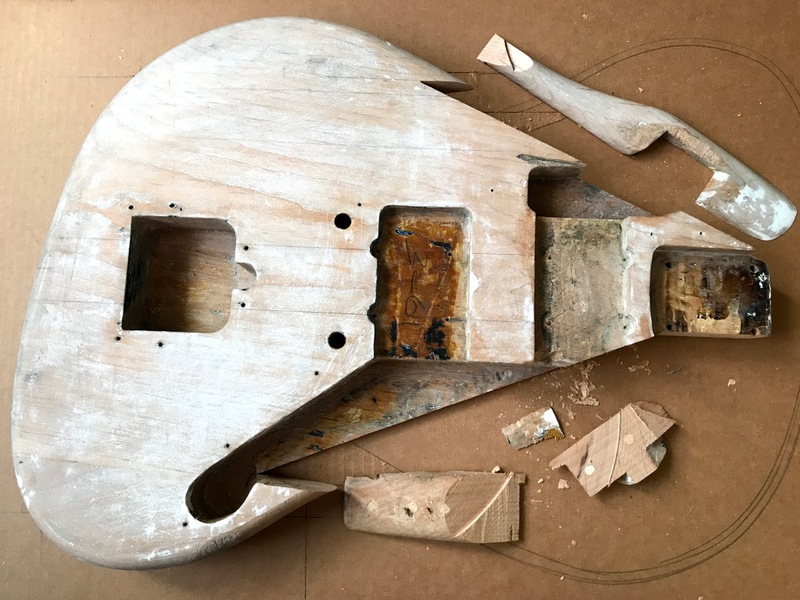 It must be very nice feeling to revive this unfortunate Jazzmaster. I'm looking out for more. That works on many levels! 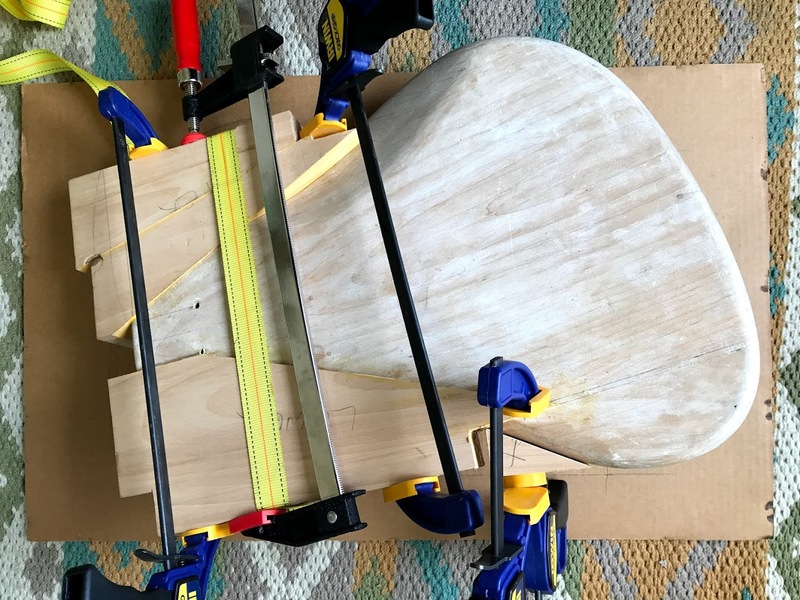 will's rescue projects are always awesome. Can't wait to see this hunk of wood come back to life. 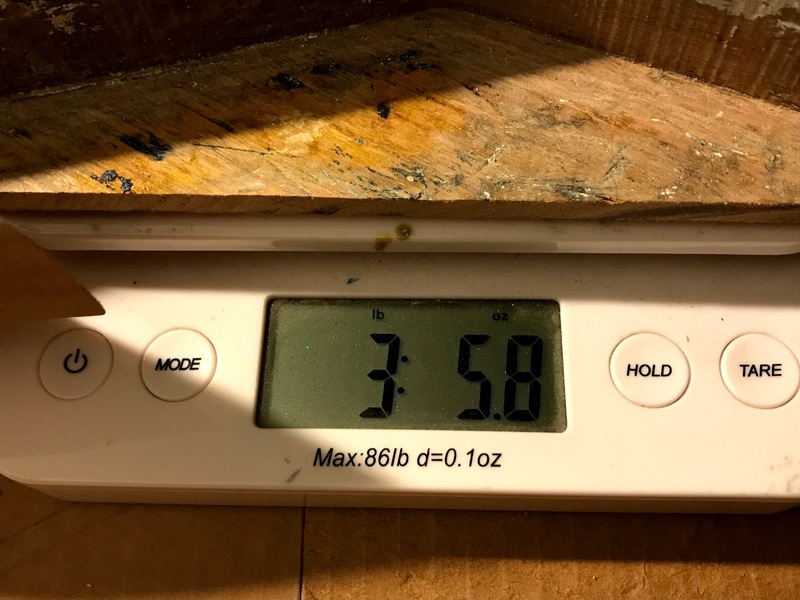 I'm keeping track of the weight - just curious what percentage of the body will actually be 1961 by the time I'm done with this woodworking. 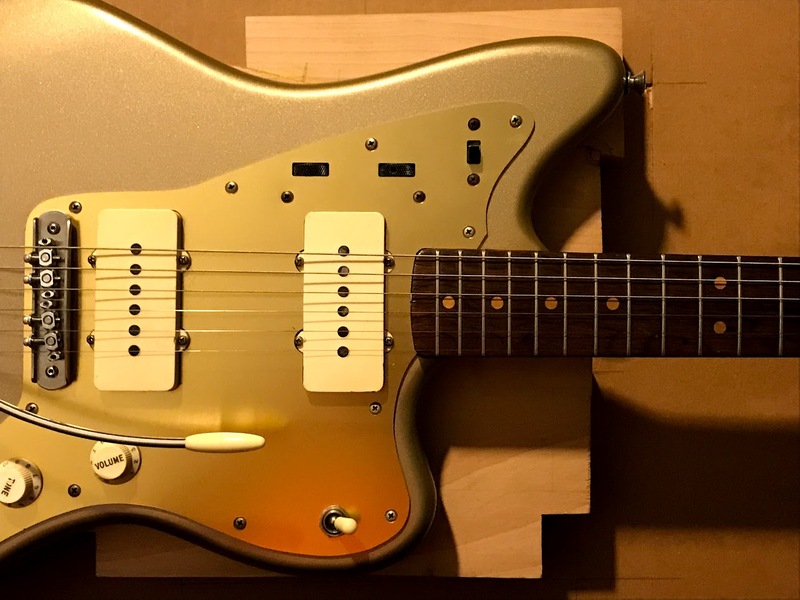 Just a suggestion: make a decal with the percentage of original Jazzmaster in this thing in the style of the "Offset Contour Body"-text if there is space for something like that on the headstock. Something like "55% original Offset Contour Body". 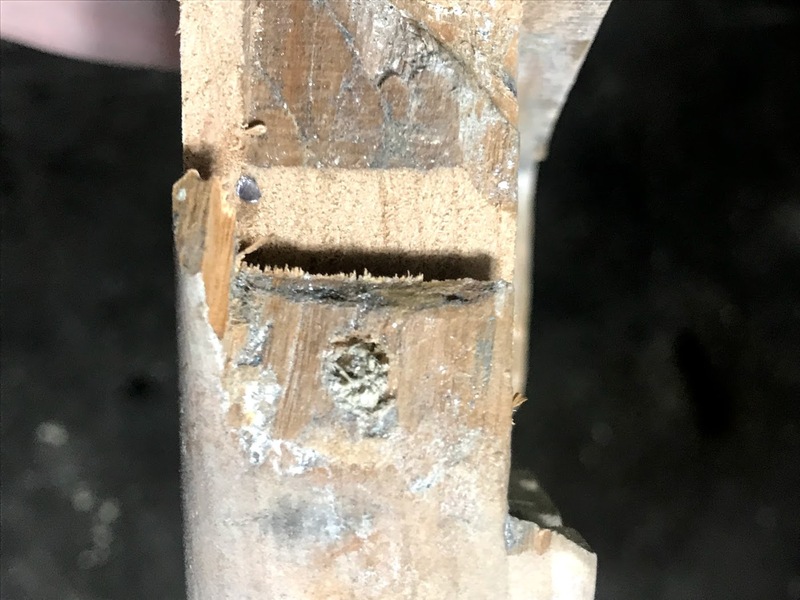 The ratchet strap slipped when I was gluing on the first graft, which left a dent in the wood. 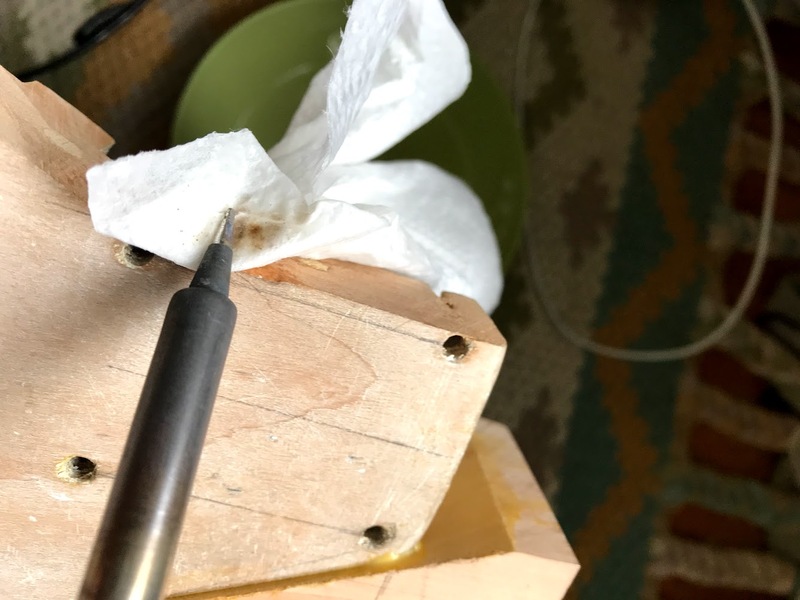 Soldering iron and wet paper towel to the rescue! The dent is almost gone. 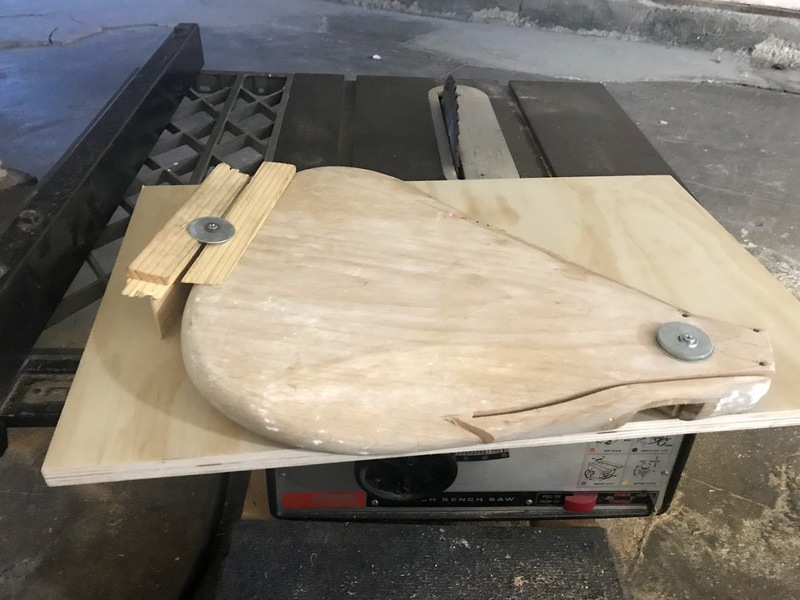 It is a pretty useful trick when you have a dent in unfinished wood. 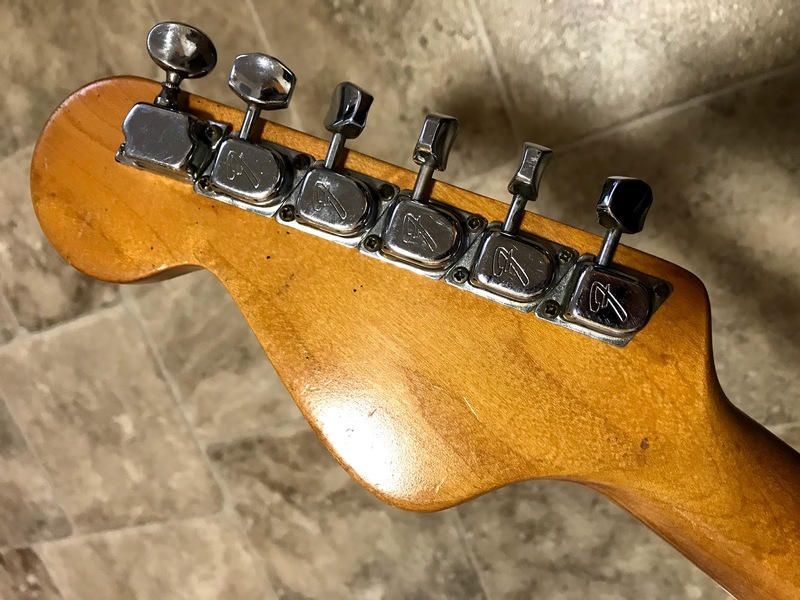 Just use a wet paper towel and a hot soldering iron and make steam over the dent. It might take several applications, but most dings can be made at least a bit better. 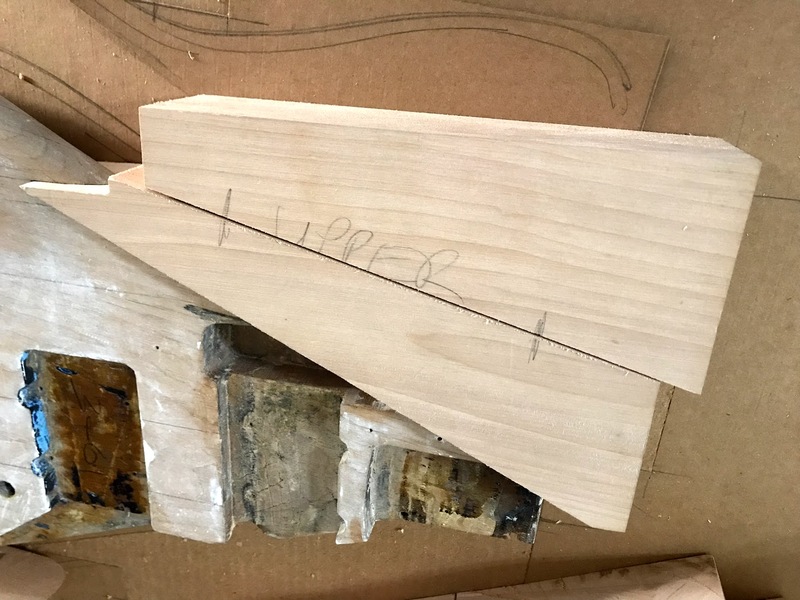 Both grafts are now going to sit in clamps overnight - hopefully I'll get to do some work with the saf-t-planer tomorrow to get the grafts down to approximately the same thickness as the Jazzmaster body. 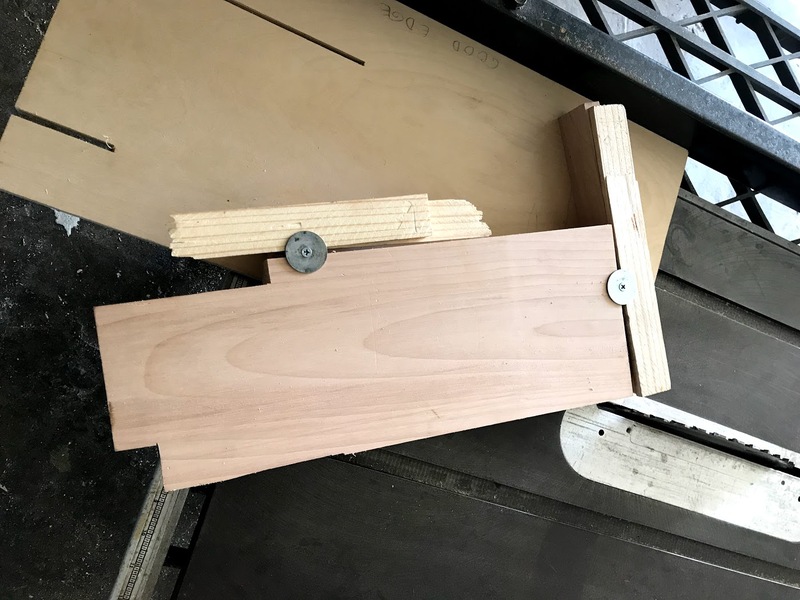 I wasn't perfect with my joinery, so there will be some imperfect glue lines, but I think it will hold together well. 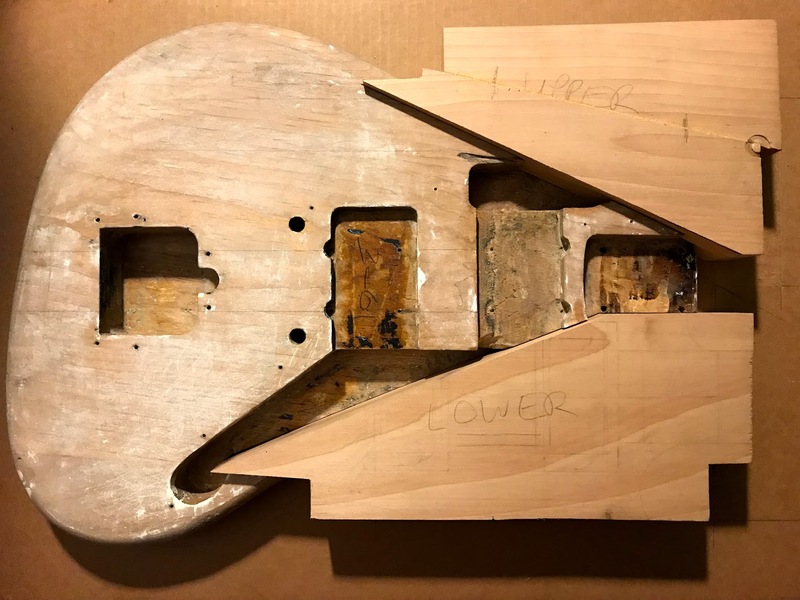 The neck donor just arrived in the mail! 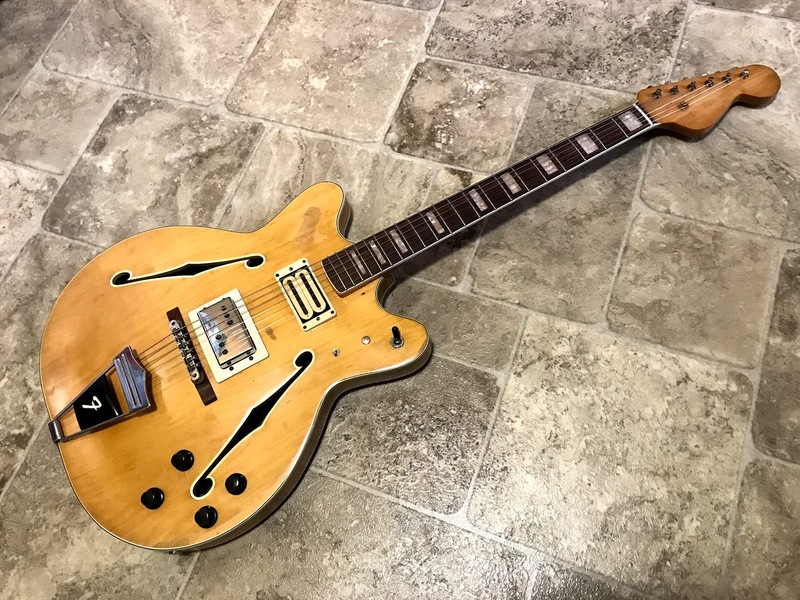 (let he who has seen this Coronado on eBay and not thought about parting it out cast the first stone.) Anyway it was up for what seems like at least a year for a high price, so I made a more realistic offer (about half what they were asking) and it was automatically accepted. Made me wonder how much lower I could have offered!